Story teller at the library in Calabasas, CA. We first read a story and then the children make art related to the story. We did one last week called "camouflage collage." The story we read was about a little girl who had gotten lost (My Mother Is The Most Beautiful Woman In The World was the story - but there are tons of stories that have this type of theme). The children "hid" something in the collage they had created by drawing a picture of it with markers or crayons, then surrounding the object or figure with felt, feathers, paper scraps, ETC. When we were done the children tried to figure out what was hidden in each other's artwork. This lesson will especially be of interest to boys. 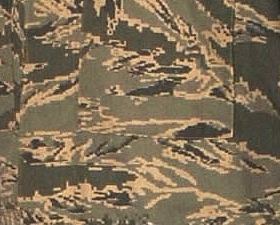 There is a variety of camouflage in the military. 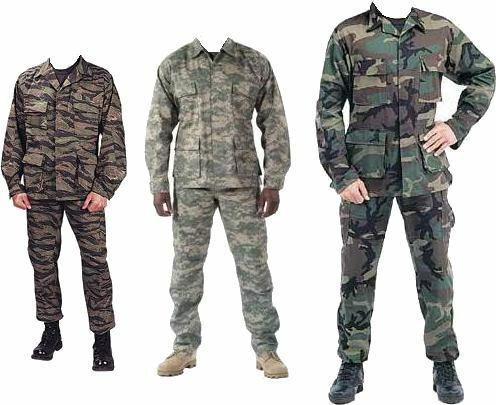 Military camouflage can be integrated into a lesson by having students design their own camouflage shirts that might hide them in a place of your choosing. Here is a close-up of the new dessert camouflage. Right- Can you see the man hidden here? Did you know that the military now has new camouflage that is created by computers? They think that this will hide the soldiers better to make them safer from gunfire. 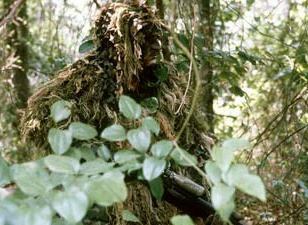 Ask: What is the purpose of camouflage? Do you see it anywhere else besides on soldiers? What kinds of insects, fish or animals have camouflage? What is it that makes their skin blend in with the background? What kind of pattern does it have? 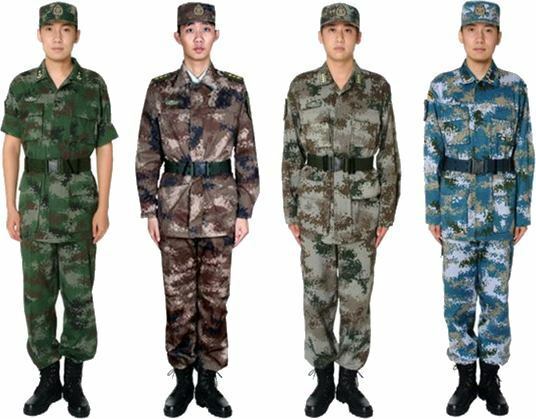 This is an example of camouflage from the Chinese Army. What do you think the blue camouflage on the right hides this soldier in? This is camouflage for American soldiers. The two uniforms on the left are the new digital uniforms that they say hide them better. Digital Camouflage T-Shirt - If you need to show your students a sample of the new digital camouflage design, you can show them a camouflage t-shirt. Andy Warhol (Camouflage) Art Print - 16"x20" - Andy Warhol created a series of camouflage paintings and prints. This print is only $3.00 so it is reasonably priced. Camouflage, 1987 by Warhol, Andy - This print is a copy of Warhol's serigraph poster for the Museum of Modern Art. Dutch artist Desiree Palmen creates camouflage art that is quite intriguing. You can see some of her work at The World as We Know It. Desiree paints and dresses models into camouflage and then after placing them in a setting, photographs them. The models blend into the background. Another excellent camouflage artist is Liu Bolin. Liu is my personal favorite as in some photographs he is virtually invisible. Liu is from Beijing, China. This is surprising in itself as in the past, China has not been hospitable to modern artists. As their economy opens up, perhaps the arts in China are also opening up. You can see some of his work on this blog and at the Eli Klein Gallery.